The Tech & Learning Adviser Blog did a blog post a long time ago called Top 10 Sites for Creating Digital Magazines & Newspapers. 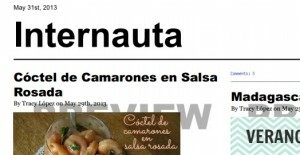 It’s the only post of its kind I’ve seen and I’ve tweeted it out several times at people looking for tools to make online magazines with their world language class. We’ve tried to make a magazine or newspaper a few times in my class and I always go to that post to see what we can use. However, all the tools mentioned just haven’t worked for what I wanted (really, I’m not sure how they came up with those being the “top 10”). I was looking for a site that my students could use to collaboratively make a newspaper-like or magazine-like product with, for example, news stories they had written. Basically, something like Publisher, but online, and collaborative. I didn’t like Tech & Learning’s post because it didn’t seem to be well-thought out for the classroom. The reviews of the sites were short and uninformative – I didn’t know that the sites wouldn’t work for me until I’d done a lot more research. Of course, the post wasn’t geared toward the world language teacher, either, and these tools looked like they’d take too much time to put together, precious time that could be spent using language. So, here’s my more in-depth review of each one, plus a few more I found on my own and by asking around. Please check out this review and instructions for LucidPress on Maris Hawkins’s blog; it may be exactly what you are (I was) looking for! Issuu – really, a publishing site. You have to make your own PDF offline and upload it. So, if one of your goals is to publish and share content, fine, but that’s often a privacy issue with schools. Yudu Free – also to simply publish content (and search content millions of users have uploaded, including in other languages, that has to comply with Yudu’s content rules– basically you can’t violate copyright or upload mature content outside Yudu’s “mature” store). PDF, Word(.doc) or Powerpoint(.ppt) (& OpenOffice equivalents) Also interesting, you can upload audio (podcasts!) but not without a username. OpenZine seems to be a dead end, in my opinion. The site appears to me to be owned and marketed by another site called Ownzee, which may be interesting for designing content (it’s marketed mostly as a blog design tool) but it’s a subscription site ($7/month). Every link on the site will either take you to Ownzee or a Google ad. Maybe you’ll have better luck than I did. NewsCred is another dead end. It’s a web publishing tool for news websites, and you have to contact them to even be able to use it, which spells two things to me: 1) costly and 2) too much work for the tool to make language-acquisition sense. -upload your own content using file types doc, docx, ppt, pptx, pps, ppsx, xls, xlsx, pdf, ps, odt, odp, sxw, sxi, txt, rtf, epub. -publish files you have created in Google Drive, Gmail, Dropbox, and more using FilePicker.io. -use Scribd’s rich text editor to create your own document or copy/paste content. This is what’s different from the sites that just publish. However, when I went to look at the rich text editor, it looks just like something like a Google Doc document. I’m not seeing how it formats it to look like anything other than a standard text document, and the formatting aspect is one of the main things I’m looking for. 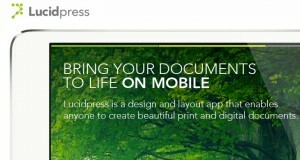 -use Scribd’s desktop uploader to upload documents in bulk. 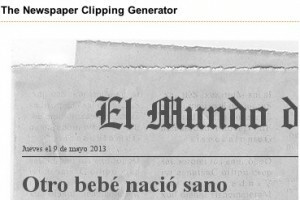 The newspaper clipping generator is an incredibly easy tool that simply turns your newspaper name, date, headline, and story into a what looks like a snapshot of a real newspaper. In short, it’s a way to do something a little fun and different with your presentational writing without taking much time away from language use. Create the image with a click, download with a click. Another great feature is that you can tell it to take new posts from the blogs you’ve chosen and deliver a new eBook to your email every week. I have to explore this tool further. Screencast? Add to the homework choice activity? Plus I may just use it to send me a personalized eBook every week! Paper.li is another example of a site that publishes web content but doesn’t do what I was looking for – publish my content. 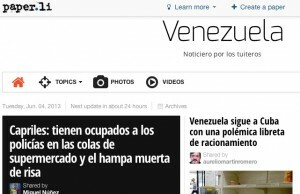 However, it’s a great way to create a digital newspaper on any topic. You can sign in using Twitter or Facebook; then, choose news sources to add to your newspaper, or search Twitter feeds or hashtags to add. Then Paper.li creates a newspaper based on what you’ve searched. 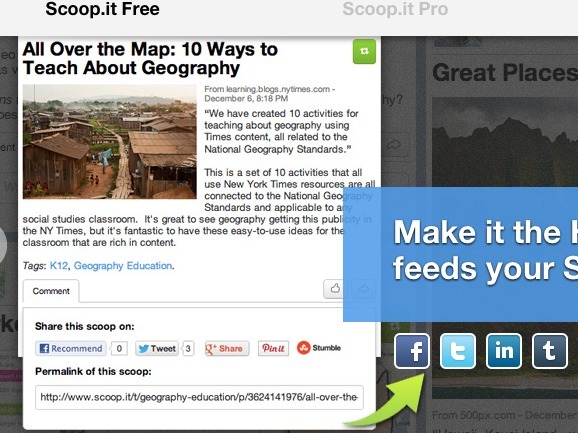 So you can use it to push tailored content out to students, but not to help students publish their own writing. 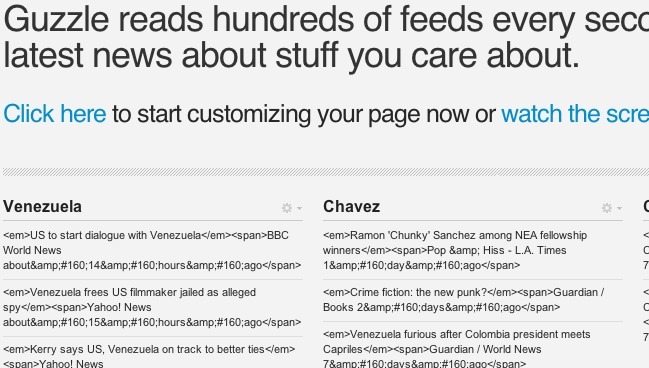 Guzzle.it does much what paper.li does – mines feeds and Twitter for articles about keywords that you choose. But, it does it in a lot less elegant and more buggy format. Skip it and stick with paper.li. I tried Crayon.net and it seemed a really straightforward way to create a newspaper from news URLs. 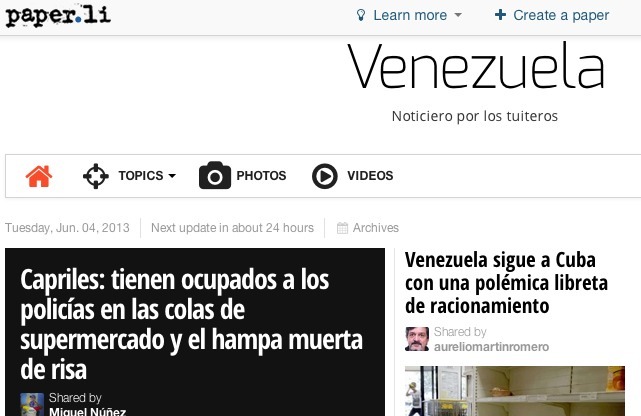 But it must not have liked Spanish because when I asked it to create the newspaper it gave me a blank site. Oh well, again, stick with paper.li. When I asked for more recommendations on Facebook (there had to be something newer than that T&L post, right? 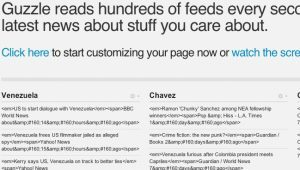 ), Sarah Bolanos mentioned Scoop.it, which seems to be very similar to other sites that mine Twitter and other feeds for relevant news, except 1) it suggests more content based on you and your followers’ preferences, and 2) you can “connect” (follow and be followed, or subscribed) to other users. See their basic tour here. Then @SraSpanglish (Laura Sexton) asked, “Why not just make a website? Newspapers and magazines are becoming increasingly digital (or failing) anyway.” She’s right. If what you’re looking to do is give students a creative, 21st-century way to format their original content, a website is perfect. She recommended Wix, which you’ve probably seen popping up as an ad on Facebook and elsewhere. So I headed over to create my own test website and wow – the site is a cinch to set up and edit (well, the little I did anyway!). There are several websites good for mining target-language blogs and news in an elegant, readable format. I recommend Zinepal and Paper.li. If you want students to put together their own newspaper/magazine, let them do it in Publisher or a similar program – there really isn’t an online, collaborative site that does this well. Whether or not you use one of the above tools to post to the internet depends on whether you want to share the content with, for example, another school. Consider scrapping the whole newspaper/magazine idea and having students build a simple website instead. It’s a better life skill anyway. Whatever you do, make sure, as always, the tool doesn’t drain the life out of the target language. Eschew anything with a high learning curve.